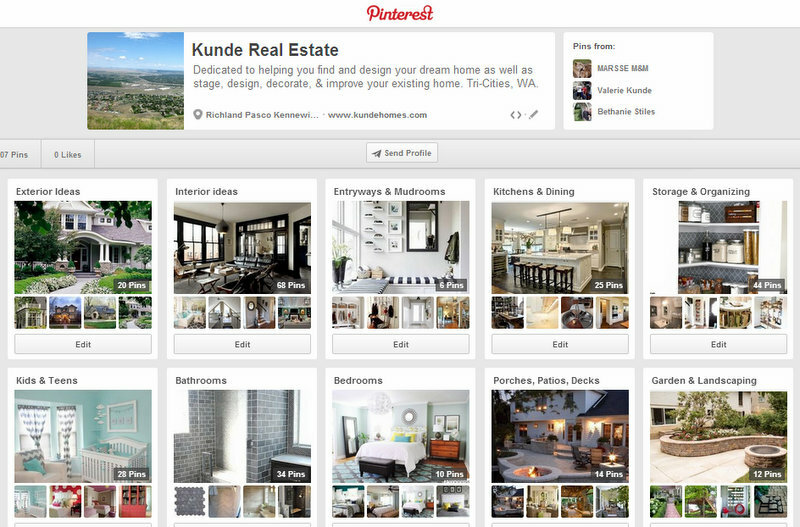 Kunde Real Estate is now on Pinterest! Our favorite website for organizing home ideas is Pinterest–a site that allows users to “pin” various website links to their own page. The pin creates a link and a photo reminder, creating a simple way to revisit these websites in the future. We’d been using Pinterest to organize ideas for our own home remodel, which naturally extended to sharing remodeling ideas with clients who were purchasing homes that needed updating. When Pinterest began offering business pages, we realized this could be a valuable tool for our clients. Our Kunde Real Estate Pinterest page is dedicated to helping you find and design your dream home–as well as stage, design, decorate, and improve your existing home. We’ve already created boards for Interior Ideas, Exterior Ideas, Entryway/Mudrooms, Kitchen/Dining, Storage/Organizing, Kids/Teens, Bathrooms, Bedrooms, Laundry, Office, Painting/Decorating, Porches/Patios/Decks, and Garden/Landscaping.